By using this site the user unconditionally accepts the terms mentioned below and/or elsewhere in the site. 1. Delivery will be made only to Faridabad and Major cities of Haryana. We are also delivering in other cities of Haryana using 3rd party tieups and various courier services available. Please call our support number to confirm thedelivery in cities other than mentioned above. 2.The products/services provided on these site are without warranties of any kind and Flowerfaridabad disclaims all or any of them. Any warranties or After sales services if any offered by the manufacturers/vendors on any product shall be serviced directly by such manufacturer/Vendor and Gift Faridabad shall not beunder any obligation to ensure compliance or handle complaints. 3.Flowerfaridabad shall try level best to deliver the goods at the specified date. However, if delivery does not take place at the specified date (which ishighly unlikely) due to some unavoidable circumstances, we shall deliver theitem at the earliest and in this case, no refund will be ask for. 4.Bona fides of the person receiving the gift at the time of delivery will be verified to the best of our abilities. Delivery will be presumed to be made ifany person at the specified address accepts the item on behalf of receipt ant.No claim for Non-acceptance of gift items shall be entertained. 5.Flowerfaridabad does not, in any way claim ownership or right over the trademark, Brand and Company name used at this web site, which are owned bytheir respected owner/Companies. Reference to these products and companytrademarks are used solely for the purpose of identifying the product suppliedat this web site. 6.In no event shall Flowerfaridabad be liable to the user for any or all damages,losses and causes of action (including but not limited to, negligence) or otherwise exceeding the amount paid by the user to Flowerfaridabad for that specified service/product. 7.No refund shall be made if delivery could not be made due to wrong address orno one is at home and delivery cannot be made during that period. 8.Flowerfaridabad will deliver similar gifts displayed on its web site andfrom the same sources as indicated. However in certain unavoidable circumstances arising due to non availability of product from the indicted sources, it reserves the right to change the source and deliver approximately similar kind of product. 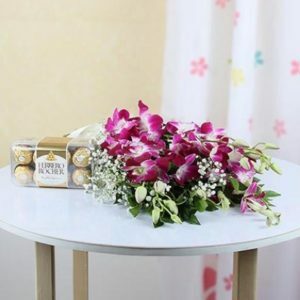 If the similar kind of product is not available, Flowerfaridabadwill inform the sender to change the order or wait until it becomes available. 9.Gift order once placed cannot be canceled, and any changes in the same must benotified by the sender before processing of order (within 2 working hours after submitting the order). 10.Flowerfaridabad is not responsible for any kind of mishandling of credit card information given to CCNOW, the authorized online retailer, for the orderplaced. 11.You assume total responsibility and risk for your use of “Flowerfaridabad”service. It is solely your responsibility to evaluate the accuracy,completeness and usefulness of all information, the quality and the merchant ability, provided through Flowerfaridabad. 12. All deliveries are done during the daytime between 9 AM to 10:30 PM. If you have mentioned a specific time of delivery above, we will try our level best to follow the same. In case, thereis a failure of delivery of product on the specified time we will confirm the delivery time from the customer and then proceed with delivery over call.If there is no response from the customer end, delivery will be made as per recipientavailability. Midnight orders are delivered between 23:45 Hrs to 00:15 Hrs. 13. Products which are couriered can only be delivered at residence or a business address; they cannot be delivered to a wedding hall ora function hall. Products which are delivered by hand can be delivered to anyaddress given by you. 14.Complaints received after 3 days of Order Date / Shipment Date, whicheveris later will not be entertained. Refund requests should be made within 1 dayof the shipment / delivery date. 15.The content of the pages of this website is for your general information and use only. It is subject to change without notice.